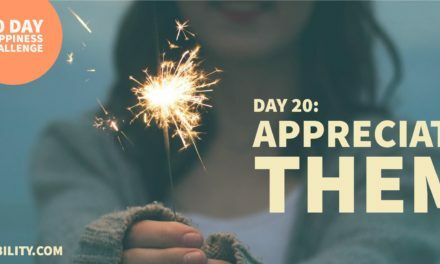 Today is day 9 of the 20-day happiness challenge! In case we’ve forgotten, the goal of this happiness challenge is to help all of us combat the negativity that we’re all experiencing in the country right now and take action to make ourselves and others happier at work. Today’s activity is to give recognition or boast about someone from another office. You’ll be looking for someone that’s done something noteworthy. Or someone that went out of their way to help you. Or someone who is admirable in some way. Then, look for an opportunity to boast about them at some point during the day. As a refresher, if you read our first post that introduced the 20-day Happiness Challenge you know that I identified 5 different activities. These 5 specific activities are chosen because of the impact they will have for you. And a positive impact on the person that’s receiving the benefits of your action. To make it easier to do the challenge, we’ve created a 20-day calendar for this challenge. You get the calendar for FREE if you sign up for the FedFan newsletter. 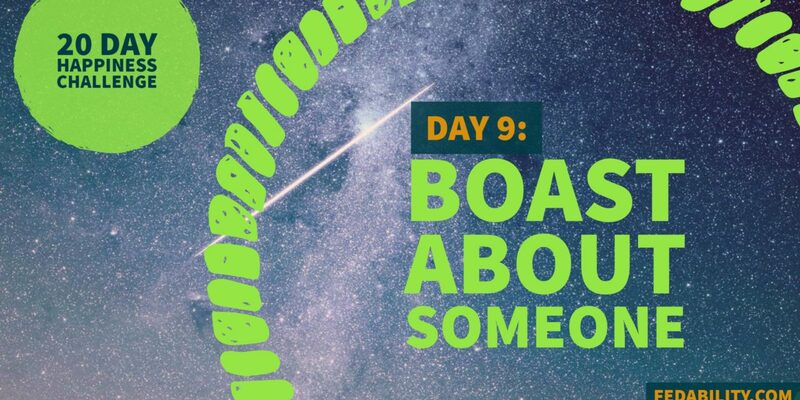 If you’ve been following along with this challenge, you know that last week’s activity on Day 3 was to brag about someone from your department. The point was to share something positive he/she did in conversation – similar to how you try to use the ‘word of the day’ in conversation. For today, you will brag or boast about someone that is outside of your office. Keep in mind, the person you are boasting about doesn’t need to be in the conversation when you do it. They don’t necessarily even need to know you did it. You know you’ve recognized someone’s good work, and that should make you feel good. The person in the conversation, who heard you boast, will know you recognized someone. They may feel more upbeat for having heard something positive (rather than a complaint). And, it’s possible someone will tell the ‘recognized colleague’ that you mentioned them in conversation. What could be more satisfying than to hear a positive rumor about yourself? For myself, I plan to boast about the kindness someone showed me for finding a speaking opportunity for me to talk about Fedability yesterday afternoon. 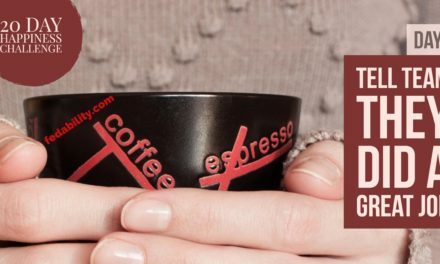 It helped me promote this site – but most importantly it gave me an opportunity to conduct a webinar – which I’d not done before. 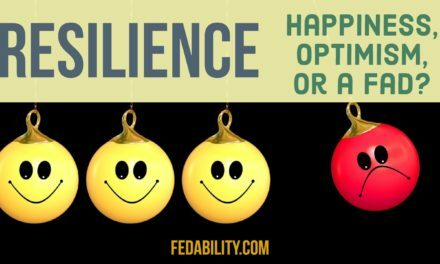 Did you miss Day 8 of the Happiness Challenge? Read about how thanking someone in your office for something may make you happier.